In their >>> official answer to the Open Letter by human rights advocacy group Zwischengeschgeschlecht.org, IOC ostentatiously chose to ignore the request to include or at least to consult the intersexed themselves and their organizations as well in their "Symposium on Gender Cases" in Miami in January 2010. 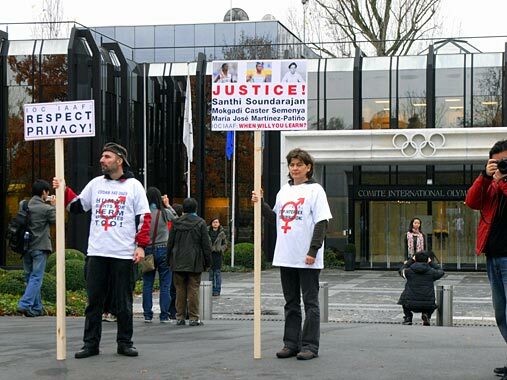 Further, the IOC flatly denied any responsibility regarding the unfair and damaging treatment of Santhi Soundarajan by IOC affiliate organization Olympic Council of Asia (OCA). Tellingly, in their answer the IOC also included another blanket denial of any responsibility with regards to the "case" of Caster Semenya—despite the fact that the South African athlete wasn't mentioned in the Open Letter at all. And despite the fact that the IOC subsidiary SASOC, the National Olympic Committee of South Africa, only very recently and very publicly declared Caster Semenya to be officially banned from competition in any official race, be it international or local. 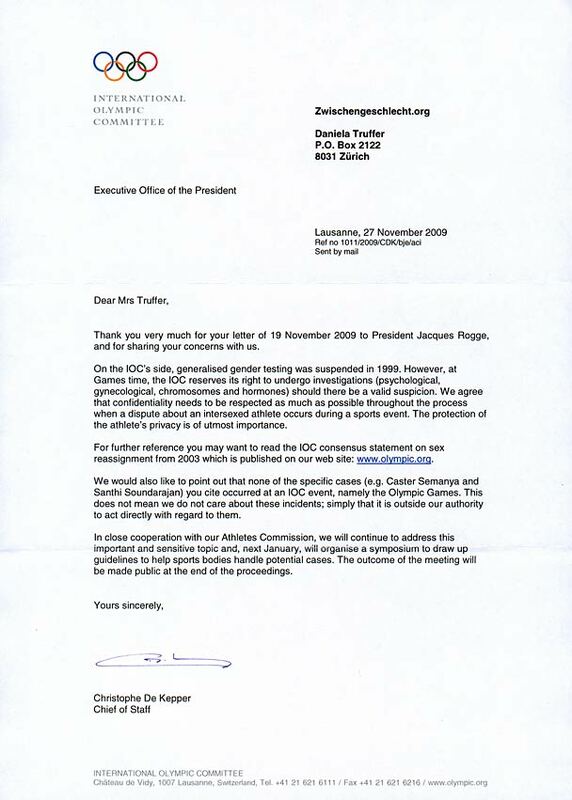 "IOC IAAF: When will you learn?"